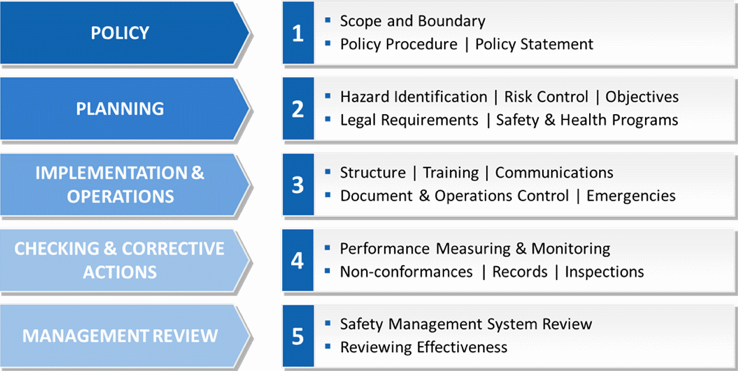 The MTI Power Services, Inc. Safety and Health Management System has been developed to provide a systematic approach to safety and health in order to have an incident free culture of safety. • The MTI Power Services, Inc. Safety and Health Management System applies to all operations conducted by MTI Power Services, Inc.
• Any new acquisition, project, joint venture or contract controlled by MTI Power Services, Inc. shall follow its requirements. The following is a general listing and description of theMTI Power Services, Inc. Safety and Health Management System (SHMS) elements and their application.